Politics is notorious for its uncertainties. What has happened over the last few days only confirms this theory further. Who would have imagined that atrocities against the Dalits would suddenly become the most distressing national issue? China has paid far greater attention to the countries in Africa and Latin America than India has. China's trade with these countries is often ten to twenty times more than India's. They are also involved more in the developmental processes of these countries than we are. We have a lot of catching up to do when compared to China. Opinion: Government May Ignore Desi Critics, But What About US? US's State Department has said that though India is one of the fastest growing countries in the world, the depressed investor sentiment suggests that the 7.5% growth rate maybe overstated. The worst outcome of this whole exercise has been that we ourselves have hyphenated India with Pakistan. It has taken a great deal by successive governments to kill the idea of that hyphenation. Opinion: Why is Election Commission Governing India? 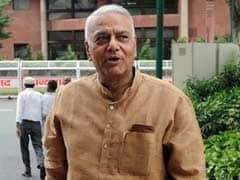 Yashwant Sinha on why it's time to define boundaries. BJP's Yashwant Sinha on Modi vs Priyanka. The BJP leader on the folly of promising "ganga of development". His defenders have deserted him, says the BJP leader. 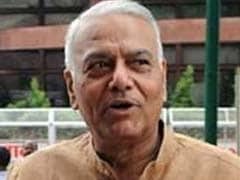 Yashwant Sinha says he is leaving electoral politics "at right time." The model code of conduct has come into force with the announcement of the Lok Sabha elections. But it is actually the code of misconduct which is being followed by some political parties and their leaders. Manmohan Singh will go down in history as the third longest serving Prime Minister of India since Independence. He has already started looking for alternative accommodation in Delhi which means that he has no wish to continue in that post beyond May 2014. After a few minutes of this not unexpected drama, the Speaker adjourned the House to meet again at 12 noon. Normally, I would have stayed back for the noon session, but I left Parliament House in disgust. What a farce we have made of our democracy?